Erel Shalit, The Complex: Path of Transformation from Archetype to Ego (Toronto, Inner City Books, 2002). Erel Shalit, The Hero and His Shadow: Psychopolitical Aspects of Myth and Reality in Israel, Revised (Carmel, CA: Fisher King Press, 2004, 2011). Erel Shalit, Enemy, Cripple & Beggar: Shadows in the Hero’s Path (Carmel, CA: Fisher King Press, 2008). Erel Shalit, Requiem: A Tale of Exile and Return (Carmel, CA: Fisher King Press, 2010). Erel Shalit, The Cycle of Life: Themes and Tales of the Journey (Carmel, CA: Fisher King Press, 2011). Erel Shalit and Nancy Furlotti, eds. The Dream and its Amplification (Carmel, CA: Fisher King Press, 2013). Excerpts from Steve Zemmelman's comprehensive review in Spring Journal of my books. I was listening to these lyrics from a song by Leonard Cohen during the time I was reading Erel Shalit’s books for this review, and it struck me how well these poetic lines capture the essential tension between fragmentation and wholeness as they reference past, present and future. They orient the listener to limitation and in so doing suggest a depth of meaning that can only come from facing the inevitability of mortality and the potential for redemption through love. The tune in which the lyrics are embedded is a lamentation with a distinctly Jewish sensibility. It leaves me moved, tearful, despairing and hopeful, all at once. It is soulful, satisfying, and true. It seemed so fitting a soundtrack for a day in which Shalit’s work was so much pulsing through me. It has been my great pleasure over the past year to have studied the body of Erel Shalit’s written work. While at first it felt like an overwhelming task to creatively review a body of work by a highly regarded and prolific colleague, I approached the task I was invited to take on as a unique opportunity for learning and creative reflection. The effort was more than amply rewarded. In his six books (I did not include the e-book in this review) one encounters a master interpreter of Jung’s many contributions to depth psychology illuminating a wide range of topics in ways that both present Jung’s foundational psychological thinking and amplify his mythopoetic approach to the soul. Jung’s work navigates between the empirical and the imaginal, engaging with each perspective as both an impetus for and a limitation to the other. Shalit’s work stands solidly in this territory, taking Jung’s original, creative thinking and building upon it, simultaneously enlarging it and nailing it down. While the density of his writing style can be challenging at times, requiring the reader to slow down and ponder the meaning of the words, more often Shalit’s words sing with a poetic, intuitive perspective that grips the reader and leaves him in a state of deep appreciation for the opportunity to contemplate an issue or problem from a new, more enriching, vista. His books should find their way into many courses on Jungian psychology and analytic training programs as they offer both clear explications of basic concepts without falling into the trap of overly concretistic definitions, as well as thoughtful and scholarly interpretations and amplifications that illustrate and deepen the ideas being discussed. In addition, seasoned analysts can also learn much from these books, about themselves and their patients, and can make good use of these books in teaching this material to others. Shalit brings into Jung’s work a wealth of perspectives and stories embedded within Jewish culture and history including biblical exegesis, midrash, Talmud, Zohar, and folklore. 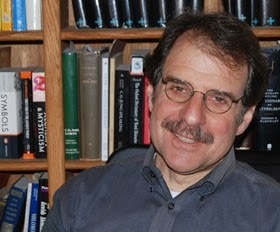 One can think of him as writing in the tradition of Sigmund Hurwitz, James Kirsch, and Rivka Sharff Kluger – first generation Jungians who expounded on analytical psychology from a specifically Jewish perspective – and more recently writers such as Henry Abromovitch and Sanford Drob. He contributes a sort of corrective to Jung’s primarily Christian weltanschauung, much as one finds in the recent work of Tom Cheetham, who has done a masterful job of integrating Sufi perspectives into analytical psychology through his explorations of the work of Jung, Henry Corbin and Ibn Arabi. It is most satisfying to see Jung’s pioneering work expanded and enriched in ways that are more truly reflective of the diversity among peoples and cultures. In addition to his integration of Jewish knowledge into analytical psychology, Shalit writes as an Israeli deeply troubled by the polarizations in the Middle East, turning the lens of analytical psychology toward the forces and tensions that have shaped Israel from the time of its socialist pioneers in the early 20th century to the present. He makes extensive use of the concepts of projection and shadow in their many forms to call for more humane and just relations between Jews and Palestinians that echoes the call for integration of the shadow by his fellow countryman and first generation Jungian analyst, Erich Neumann, which one finds in his classic work, “Depth Psychology and a New Ethic.” One sees also in Shalit’s work a deep wrestling from the point of view of Joseph Henderson’s ideas about the cultural complex as links are drawn between the intrapsychic and social/cultural dimensions of life. These perspectives are specifically addressed in two of the books, The Hero and His Shadow: Psychopolitical Aspects of Myth and Reality in Israel and Requiem: A Tale of Exile and Return. Requiem is also a story of the alienation of the Western intellectual Jew from their Jewish religious heritage and the potential for finding a way back to a renewed Judaism and humanism through a new understanding of self and other. For Professor Shimeoni it is a fight against denial, a battle for consciousness, and the courage to take a stand against evil that define the integrity one can maintain even in a situation that is seemingly hopeless in so many ways. He writes, “Consciousness will determine the future of Israel, and the preservation of Jewish civilization and its cultural heritage. When denial collaborates with demonization in the collective consciousness of the world, catastrophe lies in wait for its victim.” It is through self-scrutiny that essential elements in the often neglected and untold story of loss and despair can be identified and understood. While following this path may be the only way to find ourselves, to do so is to risk becoming lost in the depths of our own suffering. Shalit poses the essential question underlying all forms of depth psychology: “What witness is more trustworthy than the sitra achra (the other side, the story which is not told) which holds so many secrets, even secrets that we have forgotten, and secrets that are hidden from ourselves?” Requiem is ultimately a story of the possibilities of the spirit and its capacity to transform fate into destiny, for the human capacity to surpass mere repetition or adherence to collective thought and action, and to find the courage and creative intelligence that can lead to a new way in the face of despair. The Complex: Path of Transformation from Archetype to Ego reads as a primer on the psychology of complexes. Shalit carefully and thoughtfully places Jung’s thinking about the complex within its intellectual lineage dating from the pioneering work of Galton, Wundt, Charcot, and Janet. He outlines the specific, creative contributions Jung made through the association experiments he developed while working at the Burgholzli, the psychiatric hospital at the University of Zurich. He then discusses Jung’s phenomenological conceptualizations of these psychic phenomena: that they have a particular emotional feel (“feeling tone”), as well as an archetypal core around which can be found a cluster of a unique personal ideas and memories. These are dynamic - not static - entities which function between ego and archetype, allowing the impersonal objective psyche to infuse the personal, subjective psyche of the individual. Throughout the book, Shalit skillfully uses clinical examples, fairy tales, and myth to draw a sharp distinction between complexes in their normative aspect - as necessary, useful and creative phenomena - and in their pathological aspect when they become autonomous and function unconsciously in the shadow of the psyche. Viewing this critical distinction in developmental terms, where there is “good enough” parenting, or help in containing and translating the archetypal energies, the complex serves as a vehicle - in the mode of a step-down transformer for electrical current – that makes it possible for overwhelming archetypal forces to be humanized and made available for use by the individual. Archetypal energy that is not adequately mediated through a complex will overrun the ego, and so may be defended against through projection, denial, repression or splitting, thus creating states of dissociation or even psychosis. On the other hand too little contact with archetypal energies leaves the individual emotionally flat, devoid of the elan vital needed for a creative, full life. In Enemy, Cripple, Beggar: Shadows in the Hero’s Path the reader finds Shalit revisiting, but in a less overtly political context, the phenomenology of the concept of the hero that he addressed previously in The Hero and his Shadow and Requiem. Within Jungian psychology the hero is not the outer hero or “hero ideal,” the individual who performs acts of bravery in the world celebrated in collective consciousness such as the brave soldier or the athlete whose determination and skill win the game. Rather, the hero in a Jungian context refers to the capacity of every individual to venture into the unknown, shadow regions of psyche to retrieve the treasure of self-knowledge. 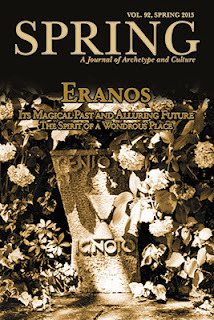 Shalit writes, “…the hero is, psychologically, that function within the ego, which has the capacity and the courage to face the awesome unknown in a conscious search for meaning (logos) and relatedness (eros). The hero abandons the known and the typical, the normative and the mediocre, often without knowing what lays ahead…” He goes on later, “The task of the hero is to wrestle himself out of collective consciousness, the ingrained norms and prevailing worldview, our neurotic defenses, those rites of the soul and rituals of the spirit that have fallen into the ruins of obsessive litany and compulsive decree.” The encounter with the shadow, an essential part of the heroic function, is often accompanied by anxiety and self-doubt. He or she retrieves something of great worth for the individual or society. The book begins by placing the hero within a mythic context. In this light, Shalit offers a clear differentiation between Freud’s myth of psychosexual development leading both to genital maturity and the capacity to love and work on the one hand, and Jung’s myth of meaning that has at its core the journey of the hero out of the known territory of individual ego and toward the hidden realms of shadow, retrieving through complexes the archetypal energies found in the objective psyche. In Freud’s view the ego takes the place of the unconscious as famously explained in his New Introductory Lectures on Psychoanalysis where he wrote “Where id was there ego shall be,” while from Jung’s perspective ego and unconscious dynamically interpenetrate in a continual process of conflict and union. The hero in the Jungian myth leaves the comfort and certainty of the known to reach into the uncertain and not as yet related to dimensions of the unconscious. The heroic function develops through the encounter with various forms of projected dimensions of the unconscious which can take the form of polarized otherness (the enemy), limitation and woundedness (the cripple), and anonymity (the beggar). The beggar can hardly be noticed. It takes all the time of contemplation, sitting back in joy and sadness, fully intact in painful clarity, shattered beyond struggle, abandonment and the death of yet another loving and meaningful meeting, of years of togetherness in analytic distinction, to fully be in the bubble thin shadow that draws the fine line between the personal and the archetypal, to stand at the edge of the flattened earth, nearly falling off into the grand darkness of the universe. The empty handed beggar is what remains, and perhaps it is he who gives the final contribution, or maybe not at all, to the most important part of the analysand’s journey – after the end of the interminable analysis. The timeless archetypal energies of enemy, cripple and beggar are reworked in the next book which integrates the archetypes into a developmental context. In The Cycle of Life: Themes and Tales of the Journey, Shalit places Jung’s conceptualization of the transformations of consciousness over the life span alongside life cycle theories, notably those of Eric Erikson and Daniel Levinson. He also places his ideas about the arc of life in relation to Greek myth (the three Morai who spin one’s fate – but not one’s destiny - at birth) as well as biblical, Talmudic and Hasidic tradition, the Hindu Ashramas or four stages of life, pre-Socratic Greek philosophy, Dante’s Divine Comedy and fairy tales. Consciousness pertains to knowing the suffering landscape that life provides, whether the landscape within the individual’s private psyche, or the landscape of the soul and the matter in the world. Consciousness does not provide so much joy and pleasure, but rather for the depths, from which meaning and wisdom arise …We are left with the questions blowing in the wind, to which the blowing in the wind, rather than the wind that has stopped blowing, may be the soul’s main answer. “The wind is the pneuma hidden in the prima materia,” says Jung. Individuation entails the extraction of the spirit that dwells in one’s raw material, of detecting, awakening and engaging the energy that may be trapped in the matter. But the answer may, as well, drift in the water, flare in the fire, and ripen on the ground. The most recent book, The Dream and its Amplification, is a volume co-edited by Erel Shalit and Nancy Swift Furlotti. It consists of an excellent, clear introductory chapter laying out the fundamentals of Jung’s approach to working with dreams with a particular focus on a highly related way of using amplification as a methodology for connecting the personal dream with the archetypes of the collective unconscious. Following the introduction, there are contributions from fourteen Jungian analysts, including the two editors, illustrating how they use amplification to learn from their own dreams and those of their patients. Each chapter is a brief journey into a particular approach to a dream or to working with dreams. There are no dry case histories here. What one finds, instead, are a collection of deeply personal and moving stories about the central role played by dreams and their amplification along the individuation journey. It struck me in reading through these how much the theme of the relationship between the dream and the earth is part of the zeitgeist, reflecting how strongly the threat of ecological disaster is speaking to us through dreams in the early 21st century. This volume contains beautiful short essays on a variety of dream images, ranging from forty-year relationship to the dream snake and its healing serpentine energy, to an encounter with an Inuit goddess of the deep ocean and our relationship to the anima mundi, to the moving poetry of an ecofeminist, to four disembodied hands rising from an asphalt road in Israel signaling the conflict and suffering on both sides of the Intifada. This is a book well worth reading for anyone interested in Jungian approaches to dream work. Erel Shalit’s books reflect his skill and experience as a clinician and thinker in the Jungian tradition who is making a major contribution to the body of psychological thinking in general and Jungian theory in particular. He is an interpreter of Jung’s original thinking and an amplifier of those seminal ideas in light of other theories of psychology, arriving at his unique synthesis through explorations of religion, culture, myth, fairy tale, language, and politics. He raises questions and helps us think about old problems in new ways, informed by a wide ranging and deep knowledge of culture but even more so by his listening heart. With clinical authors like Shalit, Jungian psychology can look forward to many more years of productive exploration of what it means to be conscious and human. The full review appears in Spring Journal, vol. 92, spring 2015.